Updated Wednesday August 19, 2015 by Alpharetta Youth Softball Association (AYSA). 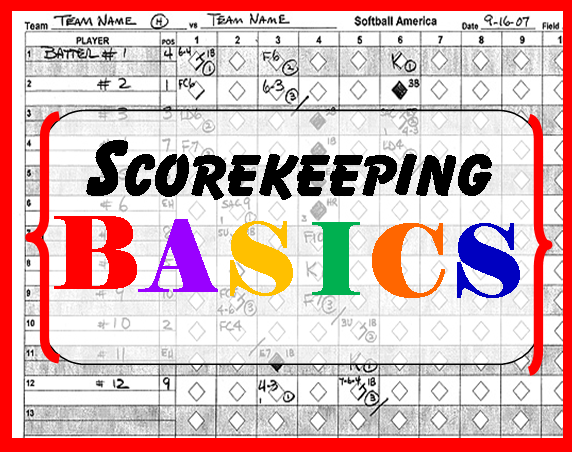 Help Wanted: Score-keeping Volunteers! Many coaches will be soliciting your help in keeping the team score book during the season. There are two ways to keep track of the action on the field—Old school: pencil and paper score sheets…. Or New School: Use an App! For ease of use, we recommend the iScore or GameChanger apps. If you prefer the more tactile pencil and paper route, and need a refresher, visit the Sports Doggy website for step by step instructions. For your reference, we've also attached a pdf file with helpful scoring tips and abbreviations.